I’ve started making pesto from scratch on the fly, using whatever is around the house. 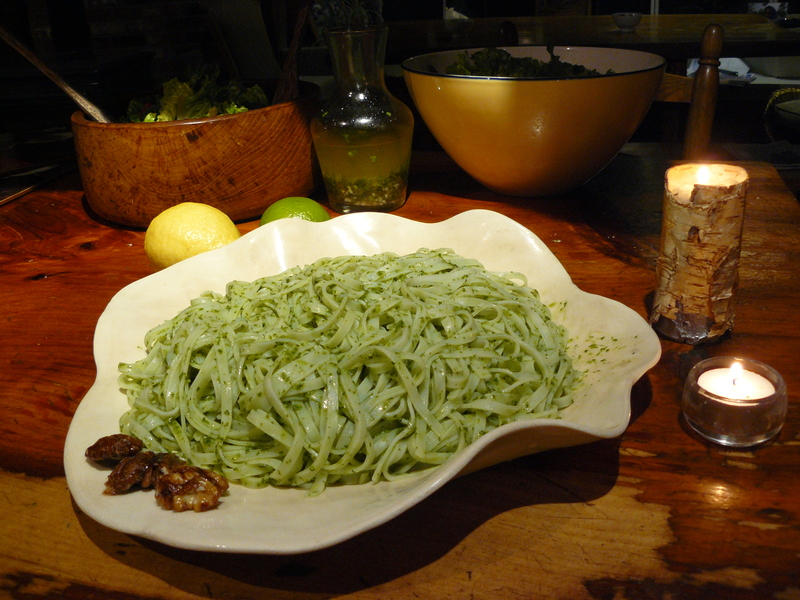 It is so easy to make and goes great on bread, pasta, pizza, etc.! Below is a rough outline, but feel free to play with the amounts to make it your own. Mix with Follow Your Heart soy-free mayonaise for a great dipping sauce. 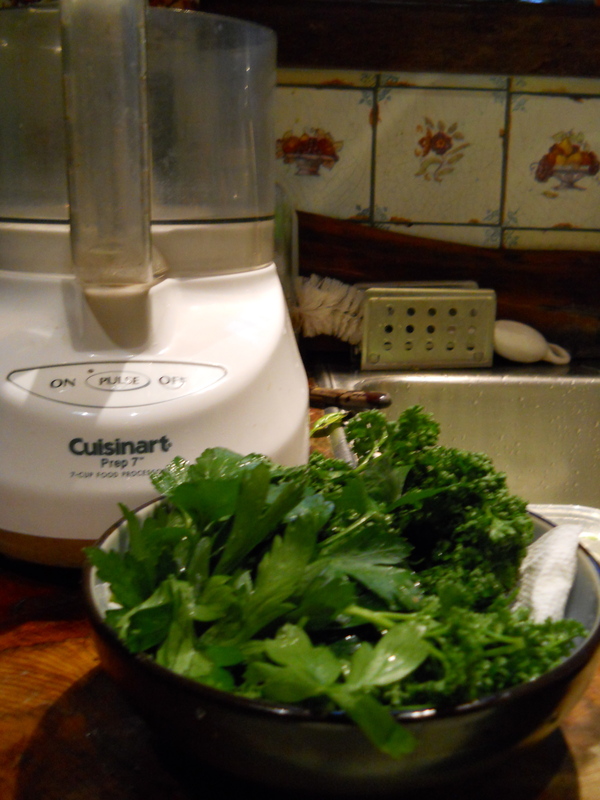 Place all ingredients in a food processor, and process until well blended. This sounds great! 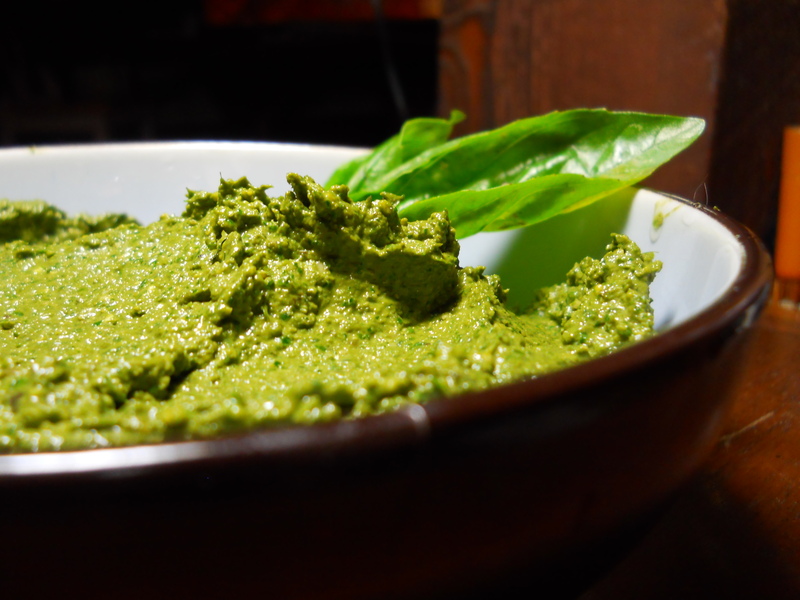 I like making on the fly pesto too! So many different greens and nuts can work well. I tried it once with lambs quarters and basil. Delicious!